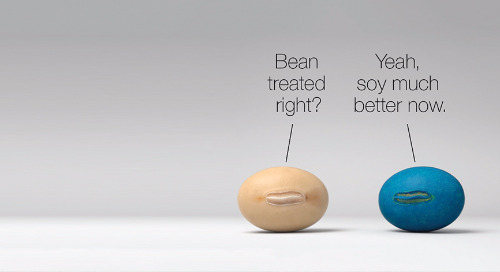 Putting the right product in the right place to grow a better crop – that’s precision ag in a nutshell. 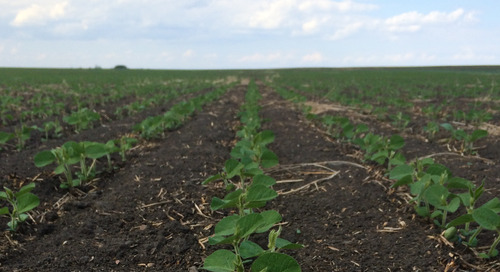 So how do growers capitalize on precision ag systems for soybeans? 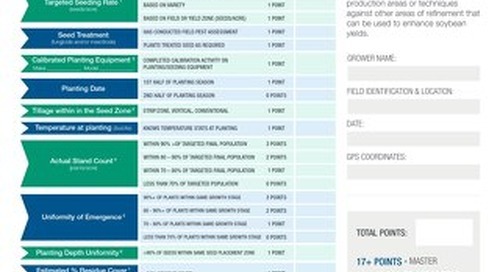 It starts with mapping production zones throughout their fields. 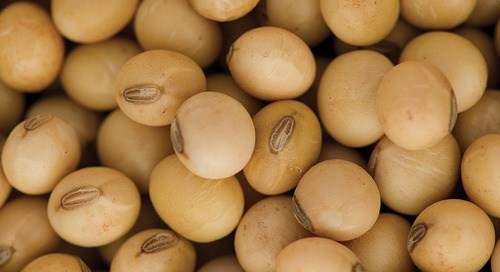 “As the industry learns how soybeans react to different management systems, we’re finding more and more that the precision ag approach gives growers the opportunity to increase their profits per acre for soybeans,” says Agronomic Seeds Manager Eric Richter. He works with Syngenta customers to put their precision ag systems in place and notes that the opportunity to enhance profitability may not be the same for every farm. Is precision ag for you? Precision ag involves measuring and responding to this environmental variability by adjusting practices and inputs in specific zones throughout a field. 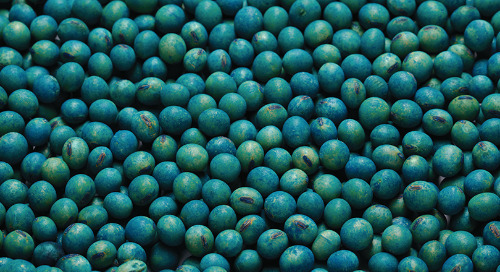 It can include specific prescriptions for everything from genetics, seeding rates and seed treatments to fertilizer, innoculants, fungicides and soil amendments. “We recommend that three zones are sufficient – high, mid and low productivity zones,” says Richter. Mapping is done through a process of compiling historical information such as yield maps, field typography, grower experience and knowledge about the farm, organic matter and soil test levels. Drone imagery or aerial photography also helps to determine a field’s production zones. Once defined, these production zones allow a grower to manage their fields with a very high degree of accuracy and customization. This is in contrast to a grower who manages on a full field basis and makes production decisions based on averages. 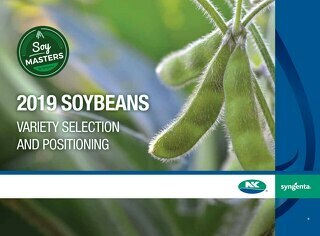 “With soybeans, it’s most important to select the best fit variety first then target the right population and apply the right amount of inputs in these variable environments. 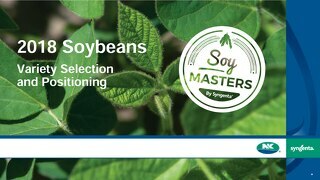 Growers can put in place a production system suited to each yield environment and away they go,” say Richter. 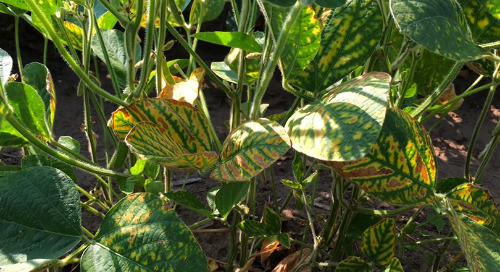 Many growers got a head start using precision agriculture in their corn crop, but Richter cautions not to model soybeans on those practices. In many ways, the approaches are divergent. 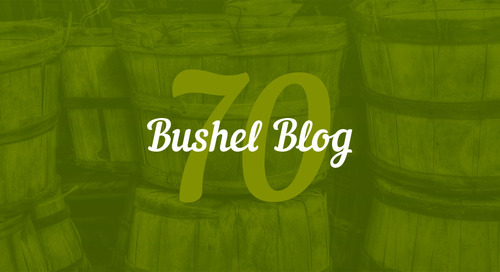 “One of the fundamental differences is that we really need to focus on correct populations. With corn, in the mid to high-yield zones, more seed and high populations typically means higher yields. 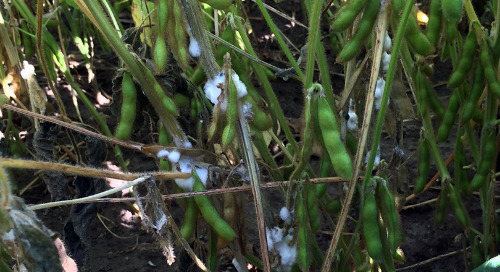 Of course, it is the opposite with soybeans,” says Richter. 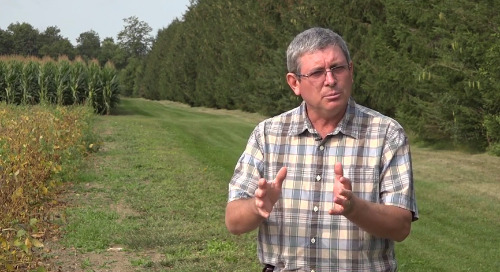 “We encourage growers to select the optimum population,” he says. 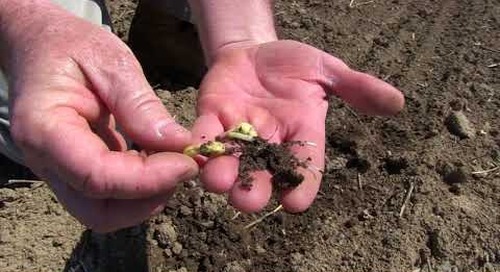 Targets are defined based on soil type, plant type and yield environment. 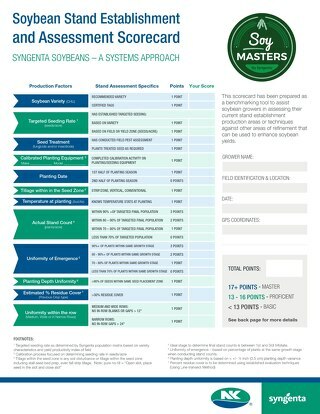 Syngenta’s population matrix makes the task easy. If you’re questioning what variety, population, row width and fertilizer to use on highly variable land, Richter says precision ag could provide the answer. 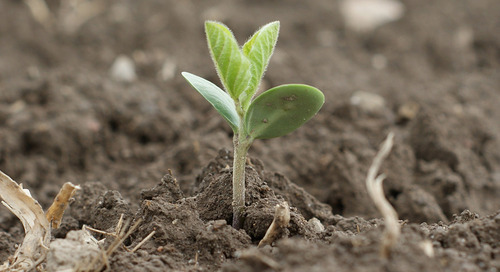 The first step is to consult with agronomists and crop advisors to formulate a script for your fields.